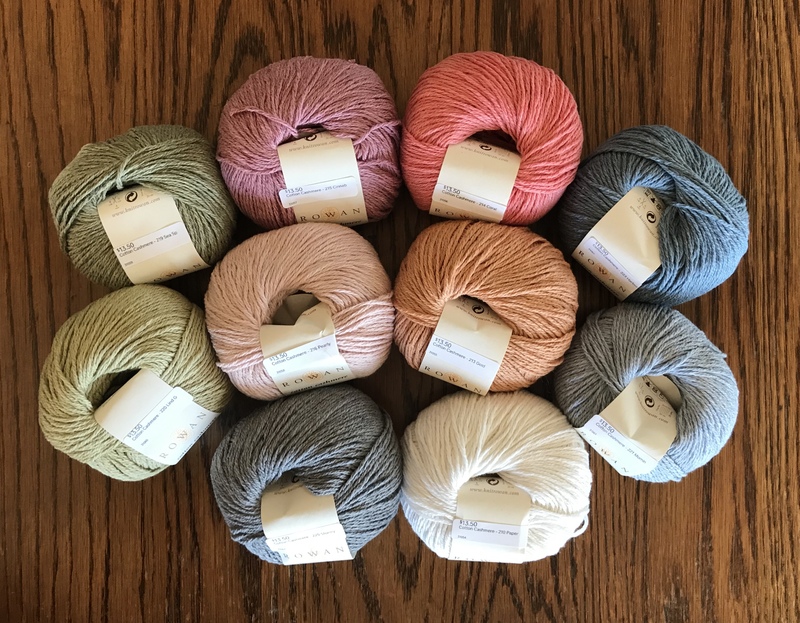 Rowan Cotton Cashmere is a perfect spring and summer yarn. A rich blend of 85% cotton and 15% silk, this beautiful yarn knits up into a luxurious warm weather fabric, making it perfect for special sweaters or shawls. The tonal colors show excellent stitch definition making it perfect for lace or textured garments. Cotton cashmere is a dk weight plied yarn that is best suited for size 6 (4 mm) knitting needles or a G (4 mm) crochet hook. It is put up in 50 gram balls that measure 125 meters. Finished garments should be hand washed and laid flat to dry.